For ten years or so from the mid 1990s I was consumed by a deeply entrenched record collecting bug. Many hours were spent trawling Record Collector sale lists, mail order catalogues and latterly eBay for ever more obscure vinyl delights. The era I collected spanned 1969 to 1975 or thereabouts and took in proto-prog, prog, and all its many and varied offshoots, essentially what was originally known as “underground” music. One of the bands whose albums were acquired was Rare Bird, a name most of you of a certain age will have come across. Rare Bird were what I used to term a “second division” band, who never quite made the big breakthrough despite being one the first acts signed to Tony Stratton-Smith’s Charisma label and having an internationally huge early hit with the single Sympathy. They were one of many bands of the time that largely eschewed the use of guitars, instead preferring a keyboard-led sound. So much so that they had two keyboard players, one of whom was band founder Graham Field. 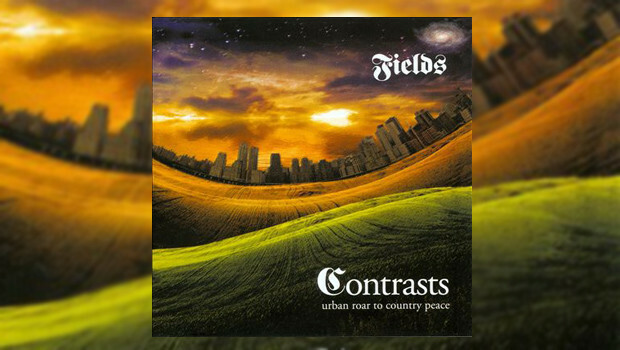 Field left after Rare Bird’s second album and in 1971 formed Fields with ex-King Crimson drummer Andy McCulloch and guitarist Alan Barry. During their short lifespan Fields issued one self-titled album – yes I acquired that one, too, although not including the highly elusive poster. Due to sweeping changes at their label CBS, Fields were dropped three-quarters of the way through recording the follow-up to the 1971 debut. Disillusioned by the corporate shenanigans the band decided to quit and the album was shelved. Recorded in CBS’ London studios, the tracks featured ex-Supertramp bassist and vocalist Frank Farrell replacing Alan Barry from the debut album, who had left to pursue a solo career. The focus of this band was always on the song rather than the lengthy instrumental pyrotechnics favoured by other keyboard-led bands of the era, and their debut album confirms this, as do these “new” tracks. Subtitled Urban Roar to Country Peace, the album reflects Graham’s move from Battersea to the village of Iver in Buckinghamshire. Commencing with Let Her Sleep, a slice of typical classical influenced rock, followed by the melodic and uptempo Wedding Bells, one initially feels that not much has changed from the first album, but the “getting it together in the country” feel of third song Someone To Trust changes all that. Graham describes it in the informative booklet essay by Sid Smith as his take on a “John Lennon” style of song, replete with rustic strings. Frank Farrell’s consummate bass playing interlocks naturally with Andy McCulloch’s easy rhythms throughout the album, highlighted particularly on the mostly instrumental Wonder Why. The birdsong introducing Music Was Their Game is another pointer to the album’s subtitle, contrasting as it does with the earlier urban traffic sounds at the beginning of Wedding Bells. Wistful melancholy permeates The Old Canal, which puts me in mind of Clifford T. Ward. There is more of the atmospheric violin on this track, which unfortunately is not credited in the booklet. Put Out To Grass is a jaunty classical-rock interlude, and Storm builds from quiet beginnings only to fade out far too quickly. One guesses that a fully realised version would have been developed further. There were eight tracks practically completed when CBS pulled the rug out from under the band’s feet, and these form the “album” per sé. The three bonus tracks are from demos Graham laid down at the same time as the album sessions and show a decent set of ideas in progress. This release is one for the rock historians among us, and is a must for anyone who owns the first album, which incidentally is also available in remastered form on Esoteric Recordings.